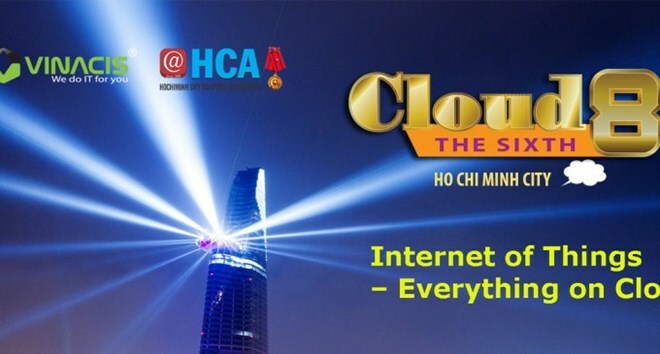 HCM City (VNA) – Five modern technology trends and applications were introduced at the sixth Cloud8 Day, themed “The Internet of things – everything on the cloud,” that opened in HCM City on June 16. Cloud computing, big data, mobility, social network and Internet of Things are those mentioned which are dominant in products and services displayed by more than 30 leading IT enterprises across Vietnam at the event. Phi Anh Tuan, Vice President of the Ho Chi Minh City Computer Association, said cloud computing has developed strongly in the past four years in Vietnam, suggesting that its applications should be widely available in both enterprises and State management agencies. The Cloud8 Day included conferences, customer-care programmes, signings and a technology golden hour and Cloud8 Night, which provided a platform for leading IT enterprises in cloud computing and over 200 experts and officials from big corporations throughout the country to share information.